Are you optimizing your sales and marketing processes to improve data quality and drive performance results? 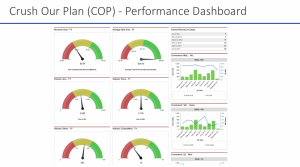 Join our ops duo as we cover the importance of having these processes in place to ensure data quality and accountability, and to gain deeper insights through segmented analysis and actionable reporting. 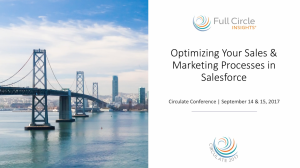 Presentation by Rochelle Diodati, Sr. Marketing Operations Manager and Ron Arbel, Revenue Operations Manager, Full Circle Insights at Circulate 2017.